Opening the gym is the crowning moment in Kate’s 11-year fitness career. But it happened by chance. She called in to buy a treadmill that had been advertised, discovered the business was up for sale and shook hands on a deal there and then. There will also be wellbeing packages for pregnant women, and mother and child classes. One of the instructors is Shannon Schneider, who attended Kate’s when she came to pre natal classes five years ago. Now mum to Jacob, Shannon developed such a passion for fitness she trained as an instructor specialising in strength, and has also qualified in sports massage. 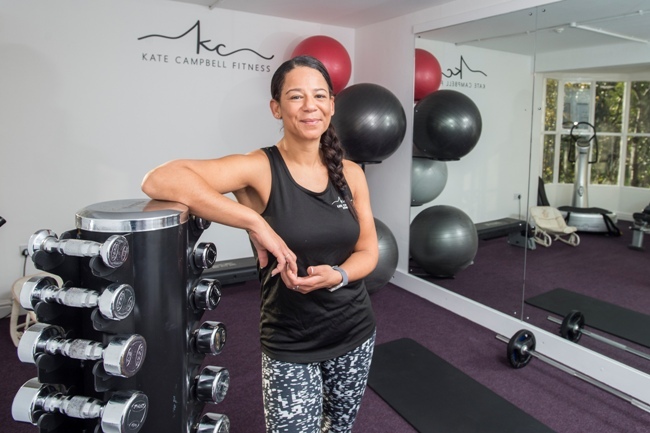 Kate, who has qualifications in weight management, nutrition, six different forms of exercise plus sports and aromatherapy massage, said: “I’ve always been a gym bunny and as a midwife spotted the lack of fitness provision for pregnant women.